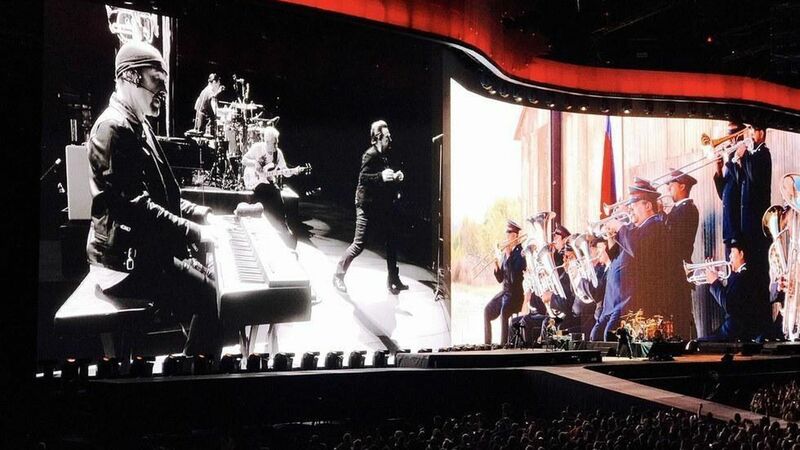 Bono, as U2's Joshua Tree tour came to FedEx Field last night: "We will find common ground, reaching for higher ground. ... We have to stay awake to dream ... even in God's country." Bono added a flurry of D.C. touches, including raising his hands to "lift up" the recovering Rep. Steve Scalise. The Irish musician and activist praised House Democratic Leader Nancy Pelosi and Rep. Kay Granger for "insisting and resisting and persisting" on women's issues. Talking of the power of coming together to fight extreme poverty, he heralded Gayle Smith, the new president and CEO of The ONE Campaign, which he co-founded. He had a dedication to her late predecessor, Michael Elliott. And backstage, he had a kiss for NBC's Andrea Mitchell.